Scallops! I had them for dinner last night, but these scallops are much prettier! 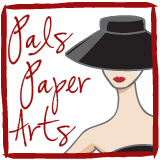 Our theme at Pals Paper Arts is scallops! How will you make them a part of your project?? I really did not use the blues in my card because of this photo, but rather just by wanting to use the birdie print from the Botannical Gazette Designer Series Paper (Occasions Mini). Here's how I made my scallops: I lined up seven 3/4" circles cut from Not Quite Navy. They just happened to fit across my birdie print, which is cut to 5-1/4" x 3". I used the piece of 5-1/4" x 1" First Edition Designer Series Paper (Occasions Mini) to make sure my circles were straight as I adhered them across the card. I added MORE scallops by double-matting my sentiment from Teeny Tiny Wishes with an oval and the oval scallop punch. I thought some pearls and a nice Marina Mist taffeta bow were appropriate! Thank you for visiting my blog. I hope you enjoyed my project. Please email me with any questions you may have. I would love to help you with your own cards or any other paper crafts. If you would like to order Stampin' Up! at any time, just use my Website. I LOVE the scallops at the top of the paper! The color combination is fabulous! OOO So pretty I really love the added news print, great idea and your scallops are fabulous!! congrats to the paper winner too..WOOT! Have a great day Patti! You are so clever, great tips. I too love your color combination! I'm a blue kind of girl and this pretty card is right up my alley! Great use of circles to create a border! 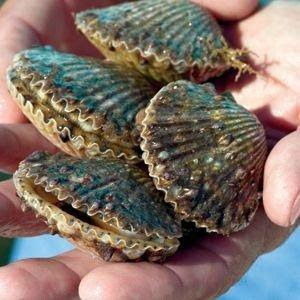 Oh I never felt more like singin' the blues.........so pretty - and I love the big "circle scallops"! Patti this is so pretty. The Botanical Gazzette is my FAV DSP! Thanks for the tut on the scallops. I finally broke down and bought the die, but wish I'd known this trick first! I'll be sure to tell my club this cool tip. Creative way to make scallops! Love it. Love the 3/4“ circle idea. Great idea for scallops! Your card has a very ”oceany“ feel to it for some reason - beautiful! Before I saw those pretty little birdies from the dsp, I was thinking it looked like the ocean too, then I saw the birds LOL - soft and serene, lovely card! ust wanted to say I like to visit many blogs, and yours is no exception. I get so much inspiration from the talent in blog-land. Please stop by my blog to pick up your Stylish Blogger Award! Hugs.